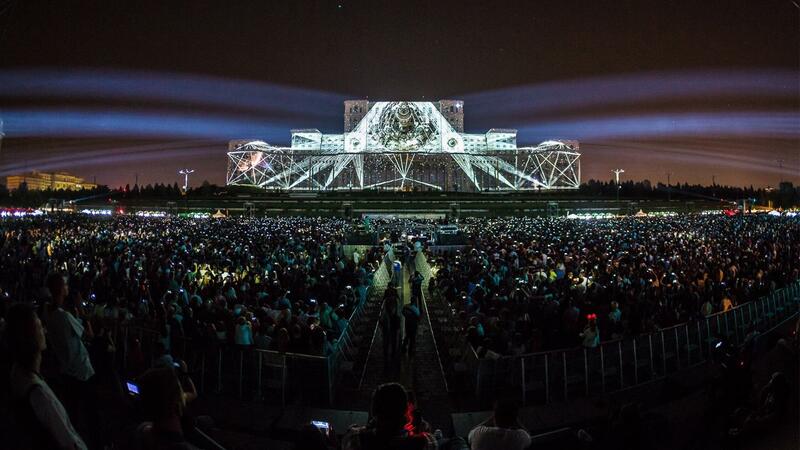 We had been selected, at the same time as 5 other teams of international well-known visual artists, in order to participate to the second edition of Imapp Bucharest – the real worldwide reference for video mapping events. 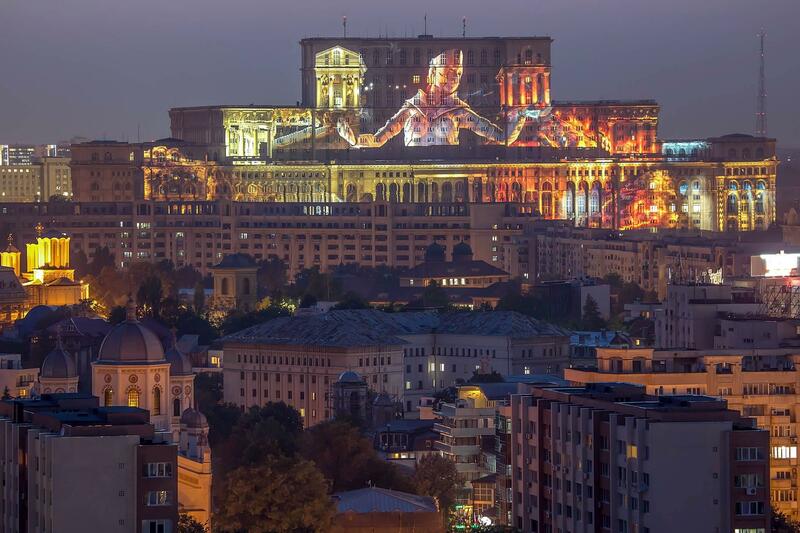 The building in the center of the contest was the Parliament Palace of Bucharest (Romania), the 2nd largest administrative edifice in the world after Pentagon (USA). 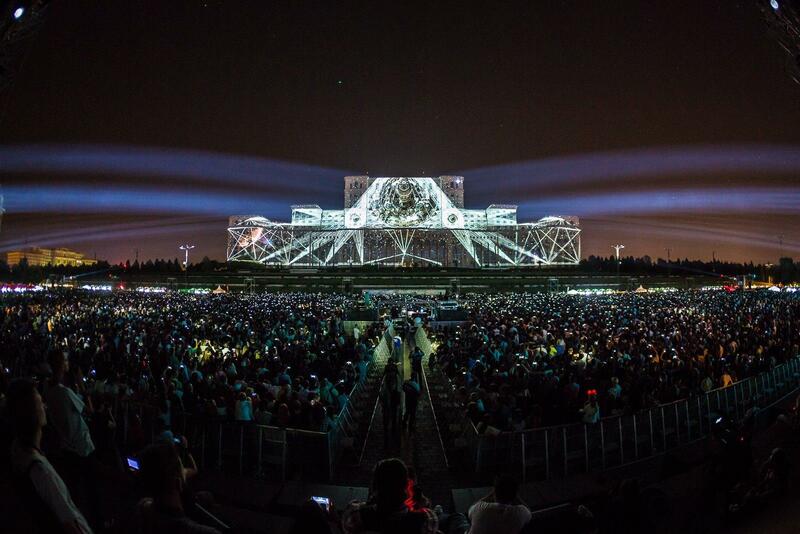 As for technical point of view, 104 video projectors were used for a projection surface of 23 000 m2. Each performance lasted 4 minutes and 30 seconds and focused on the contest topic: the 4 elements (earth, wind, fire and water). This edition achieved a great success thanks to the more than 100.000 persons come to assist the shows.